After making a batch of 100% coconut oil soap, I decided to try another single oil soap just for fun. I picked shea butter, mainly because I really like it. 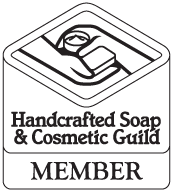 However, being considered a hard oil, I wasn’t sure how this soap would behave while mixing or how it would perform as soap. I was a bit surprised by both. I made a short video of my process including a lather test. :)I decided not to scent this soap just to see how the oil and lye alone would behave. The final soap definitely smells like shea butter. As the days go by, the scent does get fainter. I did a lather test after a few days of making it and included it in the video (towards the end). The lather is virtually non-existent and feels more like a silky lotion. After 4 weeks of curing, the lather test results remains the same. Fantastic! Do you think people would be disappointed in the larger or would the creaminess make up for it? I’ve wanted to make a very high percentage she’s butter bar. Maybe if you let it cure a descent time, it will surprise you with a wonderful lather too! I might try that first. I think 80% is a great place to start and 20% soft oils. Thank you! Always enjoy your lovely videos! Thanks for being so generous and sharing them w/the rest of the world. Where did you buy that creamy looking shea butter? Haven’t been able to find a great source in years! Hope to hear back. I always enjoy watching your videos. I’m new to soaps, what’s the recipe?